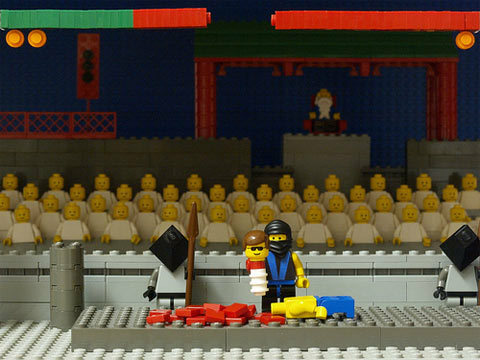 Lego Mortal Kombat. . Wallpaper and background images in the Mortal Kombat club tagged: mortal kombat video game. One of the first Mortal Kombat stages. Great tribute. Lol, Johnny Cage is smiling, even though he's dead. Jhonny cage's glasses aren't broking and THANK YOU SUBZERO! FOR KILLING JHONNY CAGE.